Halse Machinery is demonstrating the Ovlac 8 furrow semi mounted on land plough in work at Louth tractors Great Limber (off Grasby road) Great Limber Grimsby DN37 8LL Tel 01469 426985. The event takes place on Wednesday 22nd February and Thursday 23rd of February starting at 10.00 hrs and finishing at 4pm. 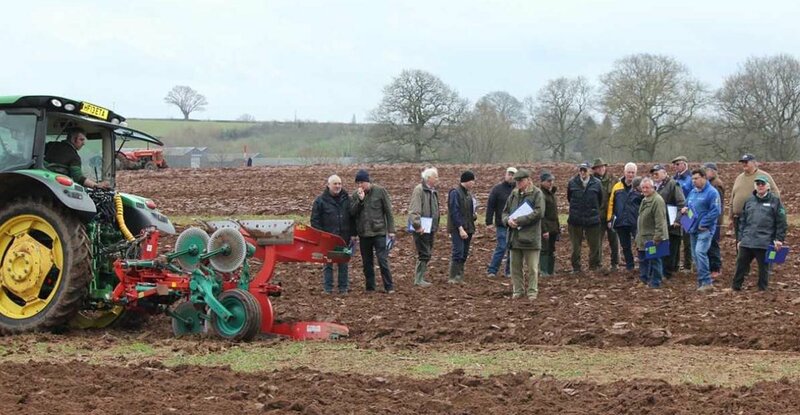 Halse is the UK importer for the Ovlac range of machinery with a wide range of ploughs and cultivators available. The ploughs are made using a large amount of swedish hardox steel, and available with 160hp, 200hp, 260hp headstocks also with a choice of shearbolt protection, leaf spring auto reset and hydraulic auto reset. All ploughs are available with the options of manual or hydraulic vari width and also hydraulic front furrow adjustment.